With a shape inspired on a raindrop comes the raindrop bench, an element of simple stroke that part from a circle to give shape to a sleek and sophisticated design. 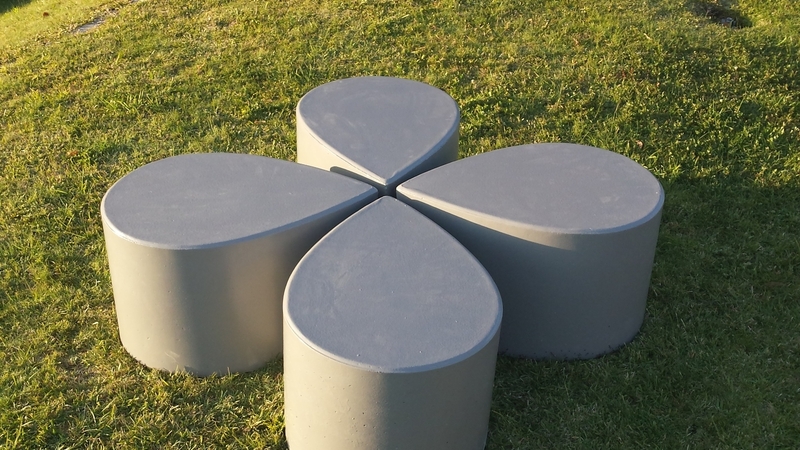 The design is inspired in a fragile element as the raindrop combined with the strength of the concrete, making it a piece that fits harmoniously with any urban landscape. Despite its formal simplicity, this is a very versatile piece for the innumerous combinations possibilities, since due to their geometrical characteristics enables combining it with elements of the same family, forming various groups aesthetically appealing, leaving the designer with different possibilities of implementation / combination. 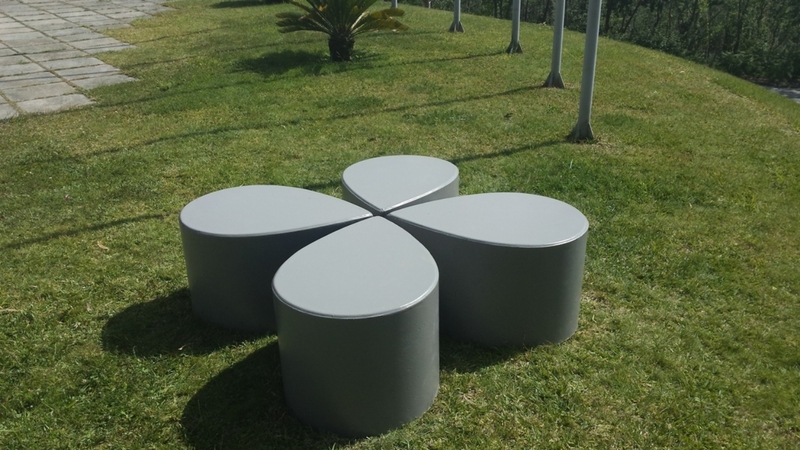 The raindrop bench, like many other articles of FARCIMAR, allows the exploration of new finishes and colors beyond the traditional gray and white, either through pigmentation concrete or painting, providing a greater humanization of public spaces.